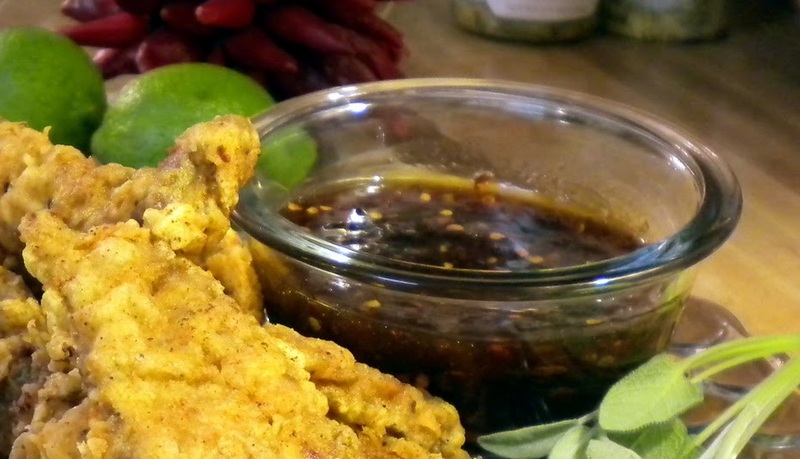 A great tasting sauce that goes great with either steak or chicken dipping strips! Over medium low heat mix rum, soy sauce, white wine, sugar, ground ginger and garlic in sauce pan and bring to boil. Whisk cornstarch into lime juice and then vigorously whisk mixture into the saucepan mixture. Add honey and chipotle chili pepper flacks stirring until mixed well. Bring mixture back to boil and cook until thickened. Serve with chicken or steak dipping strips.